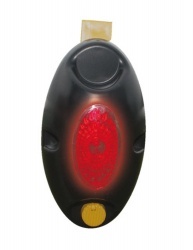 This voltage fence indicator lets you know that your electric fence is working. 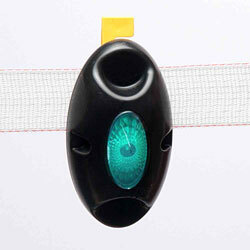 Simply clip it to your fence (no earth needed) and it will flash green to let you know there is power on the fence. It will stop flashing when the voltage drops below 3kv. The light is bright and easy to see across the filed, to give you peace of mind. Great for poultry nets and equestrian fences.